There are more than three billion people that are using the internet, and this includes things such as your computers, servers, smartphones and internet of things, all working together to make our lives easy. But, these three billion users create three billion opportunities for hackers and cyber bullies to hack into those systems and benefit from it, whether it is finical or for personal gains. So it is equally important for us to know about our systems and understand them, or at least have the basic knowledge of how our systems normally work and recognize how a malware or a virus can affect the performance of our systems so we can defend them and improve our online security. Because let’s face it, most of the hacks done today consist of either a malware or a back door installed into you systems for malicious purposes. If you have a system, that means there is a hacker waiting to hack it, one wrong move and you are vulnerable. We do not mean to scare you or do not want you to be worried all the time, but rather we want you to understand that you can have the upper hand and a secure system and in order to do so you need to know the basic knowledge of how to detect a malware or a virus in your system. Let us guide you on how to evaluate your machine and look for suspicious activity if you systems are infected – so let’s do this. Is your system taking a longer time to startup or loading Windows or operating system in general. Or are the programs taking long to load up, if so then, be warned that most of the viruses and malware that are working in the background slow down your systems performance, consume your bandwidth, and consume most of your processor’s power because of which other software take the time to start. However, before you get to the conclusion that you have a malware or a virus on your PC, you should defrag your system files, because most of the time extra or unorganized system files and pathways also cause computers to boot up slow than their average start up time. Or it can possibly be even the shortage of your systems RAM memory which may, in turn, have caused your system to slow down. However, our guide will help you measure the differences between such problems and help you find such issues with ease. And if you have inspected these factors then you might want to consider the fact that your system may be infected. If your computer is bombarding those advertisements on your face even after closing them a million times, is a sign that your operating system is infected with a malicious program. If that is the case with you then we understand how difficult it gets to navigate with those windows popping up and as well as how difficult it gets in order to remove them. Here is something important to know, as annoying as these pop-ups are they, most of the times carry concealed viruses and malicious code with them, the pop-ups themselves are not that malicious but the hidden virus they carry can be dangerous. In order to avoid such attacks keep in mind and always follow these few precautions. 1) NEVER CLICK ON THOSE POP-UP WINDOWS, NO MATTER HOW TEMPTING THEY GET. 2) NEVER REPLY TO EMAILS OR MESSAGES THAT YOU DO NOT RECOGNIZE OR SEEM SUSPICIOUS, NO MATTER WHAT THE CONTENT OF THE EMAIL OR THE MESSAGE IS. 3) ALWAYS DOWNLOAD FREE SOFTWARES FROM TRUSTED WEBSITES, BEFORE DOWNLOADING SOFTWARES OR APPLICATIONS GO THROUGH THE REVIEWS OF THE WEBSITE OR THE SOFTWARE SO YOU KNOW WHAT YOU ARE DEALING WITH. However, in order to remove this malicious code from your system, you need a good on-demand scanner or a real-time scanner you can try MalwareBytes or Lavasoft’s Ad-Aware. We have written a completely separate article for removing malware or viruses from systems; click here to visit that page. Also, if you system suddenly stops working, or if you open up a few windows and your system freezes or suddenly a blue screen with weird code written on it appears (which is commonly known as the Blue Screen of Death) out of the blue, then it is also another sign that you need to check your systems. There are quite a lot of things that can trigger this problem, but since we are not going to discuss all of them here so we have trimmed down the problems in just two of the most common factors that can cause those issues. For starters, there can be a hardware issue, like a hard drive issue – may be one of the SATA sockets is not working properly causing the software to lack in performance because of it. Or simply it can be a malware that is killing the connection between your hardware and the software. However, if you have checked the hardware and the problem only exist in the software then you should check if you are running software that are conflicting each other, for instance, Skype at times does not work when the WAMP software is running as they both use port 80 and because of which a conflict is created which in return does not make Skype work properly. Also most of the times a software that you no longer use or have uninstalled from your system can cause registry problems as they leave behind an unused key in the registry which later can cause problems for the same software that has an updated version, so make sure you do not forget to remove those useless keys, as these factors can also crash and slow down your systems performance. Again, after going through all those procedures and the problem if the crashing of the software and system still exists, then you should run a full-time scan on your system that will help you get rid of the malicious code and when you do that make sure you update your virus database (it is a good practice to keep the automatic updates on) and after doing that disconnect your system from the internet and the run a full scan as that will help lessen the load on the processor and help perform the scan faster. Though it is preferred that a complete paid security suite is bought for maximum protection as all the security updates first come in the paid versions, but if your pockets do not allow that then you can always Google for good anti-virus software, anti-malware programs, and additional security firewalls as they will also keep your data protected. Another indication of a malware in your system can relate to the activity of the hard drive. If you system is idle that there is no software running or you are not listening to your favorite tunes and there is absolutely no activity and still the little green or red light on your desktop or laptop is still lit or blinking abnormally than its usual manner, this indicates that your system needs to be checked for a potential harmful code that is consuming the hard drive. Also, consider the fact that there may be a possible cause related to the malfunction in the hardware meaning your hard disk might not be working properly or it might be physically damaged, which might be causing the abnormal hard disk usage activity. This is also one of the most common problems when a virus or a worm attacks a system, as they tend to create multiple files and copies of themselves consuming the disk space and they keep themselves hidden which virtually shows the disk empty, but rather it is getting packed every minute, also keep an eye if your files have vanished or renamed themselves or have been given an extension at the end of their names (mostly used by ransomware, which locks your files). Most of the times, if a machine has a malicious code installed on it, the user might not be able to use their internet via the infected systems, even though they aren’t using any software that are using the bandwidth. And one can also notice that when that system is on, the bandwidth dramatically decreases even for the Wi-Fi users. 1) IS YOUR WINDOWS UPDATING ITSELF IN THE BACKGROUND. 2) ARE YOU USING ANY SOFTWARES THAT DOWNLOAD OR UPLOAD DATA, such as Bit Torrent or uTorrent. 3) IS SOMEONE UPDATING THEIR SYSTEMS USING YOUR WIFI. 4) IS YOUR ANTI-VIRUS UPDATING ITS DATABASE. 1) DOWNLOAD A SOFTWARE TO MONITOR YOUR TRAFFIC, you can try Wireshark, Microsoft Network Monitor, and GlassWire and if you want to inspect your Wi-Fi you can use, Xirrus Wi-Fi Inspector. 2) AGAIN, SCAN YOUR SYSTEMS WITH AN UPDATED ANTI-VIRUS AND ANTI-MALWARE SOFTWARES, (as there are thousands of malware and viruses and they all of the different ways of being removed, you can always Google your malware type and you would be surprised with all the help you will get). Another most common trait of a virus is to screw around with your web browser if you notice that whenever you start your favorite browser, it automatically takes you to a weird web page that you did not step up yourself. And a lot of plug-ins, toolbars, as well as search bars, have appeared on your browser out of nowhere and most of the time if you try to go to Facebook or Google; the browser takes you to a completely unfamiliar website. And the reason why this happens is because, not knowingly, you went to a weird website that gave you all the malware or you clicked on one of those weird pop-up windows that were showing pesky advertisements, which as a result triggered the installation of the malicious program(s) on your system. 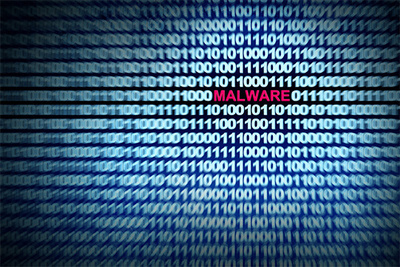 And since this malware are hard to get rid of, make sure you have a real-time antivirus scanner (one) and on-demand antivirus scanners (multiple) so if one of the on-demand scanners misses out, the other one can catch and eliminate it. 1) Seeing you system opening and closing familiar and the unfamiliar software automatically. 2) Your operating system closing down. 3) You seeing unfamiliar windows popping up when you boot into your operating system. 4) Or seeing restricted access to a few of your drives. Even though these errors can be caused by some hardware problems or some general technical issues, but we shouldn’t hold back on the fact that a malware can be at work which has restricted the access to the drives, and in such cases the malware can possibly delete each and every file that exists on your computer or wipe the whole operating system and leaving you only with the BIOS. Most of the times, when a system is infected, the malware that is sitting in that system wants to spread itself, and it does so by communicating with other via your Email or any means of communications. Your friends might or your family members might receive a message that might be inappropriate but rather alluring and most of the times those emails or messages have links or attachments and all they need to do is click on those links, though they might be disappointed by not finding anything related to you but they did initiate the process of installing the malware, and after some time you might get the same message from them that they were receiving from you. 1) LOG OUT OF ALL YOUR ACCOUNTS, MEANING IF YOU ARE USING THOSE ACCOUNTS ON YOUR SMART PHONE, THEN LOG OUT OF THERE, IF YOU ARE USING THAT SAME ADDRESS ON YOUR WORK COMPUTER, THEN LOG OUT OF THERE AND ETC. 2) CHANGE THE PASSWORD AS SOON AS YOU FIND OUT THAT YOUR ACCOUNT WAS COMPROMISED, DON’T USE A SAME PASSWORD WITH ADDITIONAL SPECIAL CHARACTER SET. IN FACT, CHANGE THE PASSWORD ALL TOGETHER AND USE A PASSWORD THAT CONSISTS OF THIRTEEN CHARACTERS OR MORE. 3) IF YOUR EMAIL PROVIDER HAS A TWO WAY FACTOR AUTHENTICATION FEATURE, THAN USE IT, AS IT SEND YOU A SPECIAL CODE WHENEVER YOU LOGIN TO YOUR ACCOUNT. So this will also alert you if your someone is using your email as it will instantly send you an email informing you that someone tried to access your email. Understanding how such malware and viruses work on a standard system is the only thing that can prevent us from having our privacy stolen and protecting our systems. As our world gets more and more connect and more and more devices are hooked up to the internet, does not imply that installing a few security software and forgetting about them will keep us safe and protected, there are number of malicious applications that can bypass a security suite, which can compromise our savings, our family, perhaps even destroy our lives. So it is the information and the study of how these applications that can protect us can be used to the best of our abilities because following a few good safe habits can save a lot of our time and keep us safe from all the damage that comes after they affect our lives.